Lalit Kala Akademi Regional Centre, Lucknow organised a Three Day Art Appreciation Workshop for Children in Class VI-VIII from 26 to 28 June 2014 at State Museum Lucknow in collaboration with Department of Culture, Govt. of U.P. at State Museum Lucknow. The State Museum invited Ms. Komal Pande to present this programme. It was inaugurated by Prof. Yogendra Nath Yogi, a senior artist and Ex Chairman, State Lalit Kala Akademi on 26 June 2014 at State Museum Lucknow. At this function, Dr. A.K. Pande Museum Director, Sri Siddhartha Ghosh, Regional Secretary, Lalit Kala Akademi Regional Centre, Lucknow and the programme presenter Ms. Komal Pande were present, beside the student participated in the workshop alongwith their parents and other invitees. A number of 37 students from class VI to VIII got registered their names for this programme. The participating students have shown their keen interest in the programme. This programme continued till 28th June 2014 daily between 11.00 am and 1 pm. At the closing ceremony, the certificate of participation was given to students by Dr. S. N. Upadhyay, Assistant Director, State Museum Lucknow. Lalit Kala Akademi Regional Centre, Lucknow organised an ARTIST IN RESIDENCY – PAPER MAKING WORKSHOP from 28 August to 2 September 2014 at its galleries. Shri Anupam Chakrabory was invited as the Resident Artists for this workshop. Anupam Chakraborty is an artist, designer and papermaker by profession. He did his graduation in painting from Kala Bhavan Santiniketan, masters in graphic arts from M. S. University of Baroda and post graduation in papermaking from Glasgow School of Art, UK. He has received many prestigious awards like national scholarship, junior and senior research fellowship from Ministry of Culture, Government of India, and Charles Wallace India Trust award to name a few. His artworks are in collection of Chicago School of Art USA, Tamarind Art Gallery USA, National Gallery of Modern Art, New Delhi and many others in India and abroad. Anupam has over twenty years of work and teaching experience. Apart from creating artwork, teaching and conducting hands-on-training workshop, Anupam’s ongoing research areas are papermaking from plant fibre and artists’ book. The programme concluded on 2 September 2014 at 5.30 pm. Shri B V Kharbade, Director, NRLC, Lucknow delivered the valedictory address at this occasion. A number of artists, art students, art lovers and participants of the workshop were present at this function. An exhibition of the paper (artworks) prepared in the workshop was displayed. The print media covered the event. 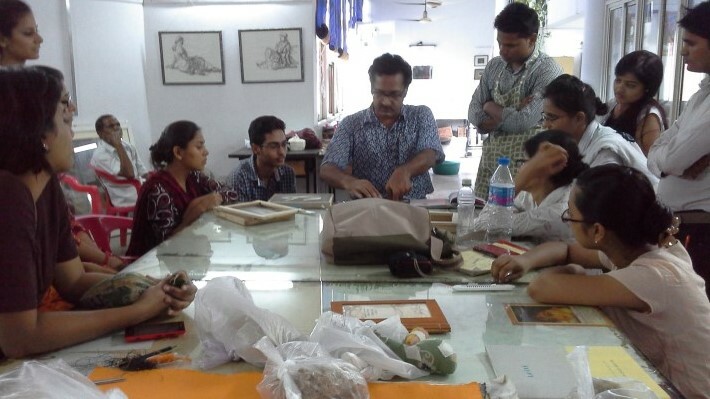 Lalit Kala Akademi Regional Centre, Lucknow organised the programme - ARTIST IN RESIDENCY –LITHOGRAPHY WORKSHOP at Faculty of Fine Arts, M. S. University, Baroda from 8 to 14 September 2014. The Artist in residency was a Senior Printmaker of India Shri Ajit Seal. The workshop started on 8 September 2014 with an opening ceremony in the presence of Master Printmaker - Shri Ajit Seal, Guest Artist – Shri Walter D’Souza Former Dean Dr. Shailendra Kushwaha and other faculty members. The programme concluded on 14 September 2014, Shri Surendran Nair, Baroda based eminent artist delivered the valedictory address in the presence of Prof. K.G. 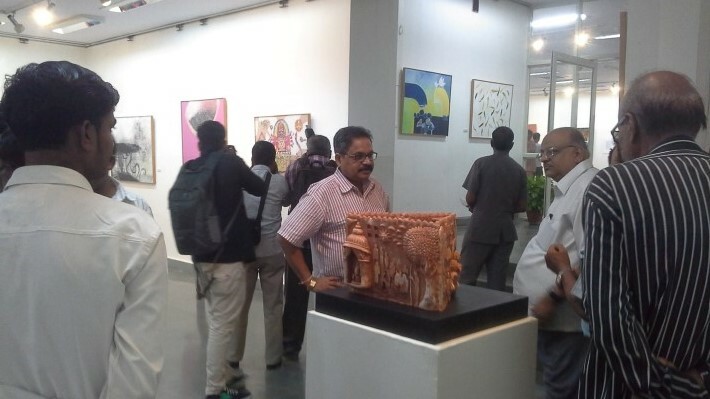 Subramanyam and Prof. Jyoti Bhatt.. At the occasion, an Exhibition of artworks created during the workshop was also held. The media covered the event. 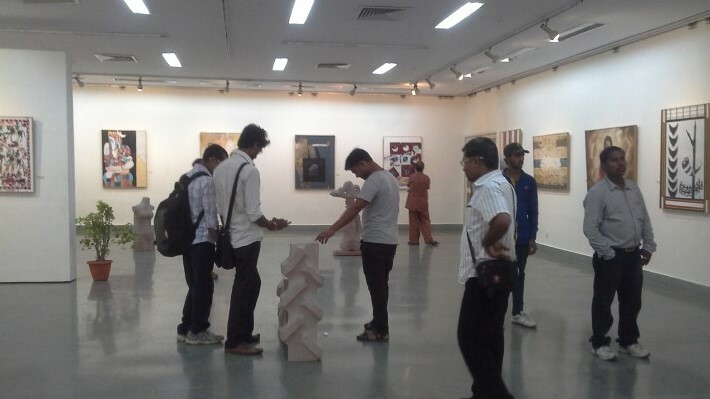 Lalit Kala Akademi Regional Centre, Lucknow organized a Multi Disciplinary Art Camp from 1 - 10 December 2014 at its premises comprising most of the young and upcoming artists from the disciplines of Painting, Sculpture, Ceramics and Graphics. The Concept of this workshop was to bring artists of various disciplines from different states closer in order to discover new creative dimensions and also to give them a platform to interact with each other in the duration of Camp at the Centre. During the above Multi Disciplinary Art Camp, a CD/Slide show of participating artists was held on 9.12.2014 at 2.00 pm at the Centre. 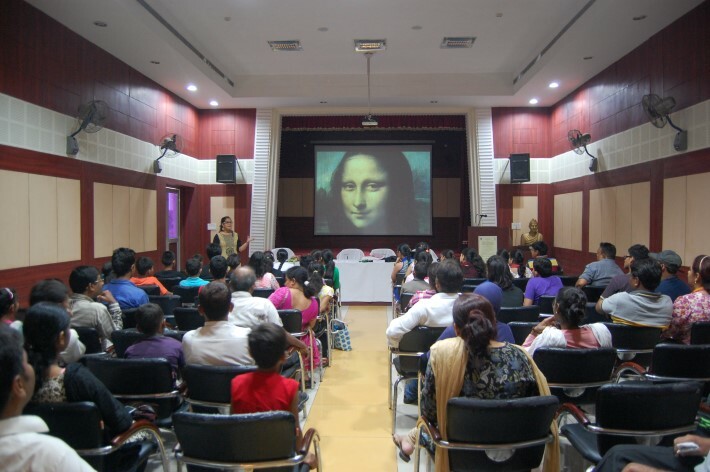 The Valedictory Function was held on10 December 2014 at 5.00 p.m. with an Exhibition of executed art works in the evening at RC Lucknow galleries. A good number of visitors, art lovers and art students/artists witnessed the event. The print media covered the programme.